The holidays always quickly approach us and many love to decorate the outside of their homes with festive themes that go along with the season. This can be done with some tips and tricks to make it even more fun for everyone involved. ’Tis the season for adding a little bit more pizazz to the garage door outside of your home. Here are some great ideas to help you get started early this year! One of the most common decorative ideas for the holiday season is to wrap up that garage door. You can either go with some traditional wrapping paper, or they make wraps to fit on the outside of garage doors. This depicts a scene, can say sayings or anything you’d like. It is easy, affordable and very festive for any garage door. Magnets stick to the outside of the garage door, if you don’t have a wooden one, so you can find some festive ones for many holidays throughout the year and change them out as you go. You can make little scenes with them and everything. Paint a mural across the front of the garage door. This is a great way to not only show off your artistic style, but you’re easily able to create something for every season, every holiday or anything else you’d like to show off. Just make sure you use a washable based paint that can be scrubbed off the outside of the door once the season has gone. This is one way to go out with a bang. 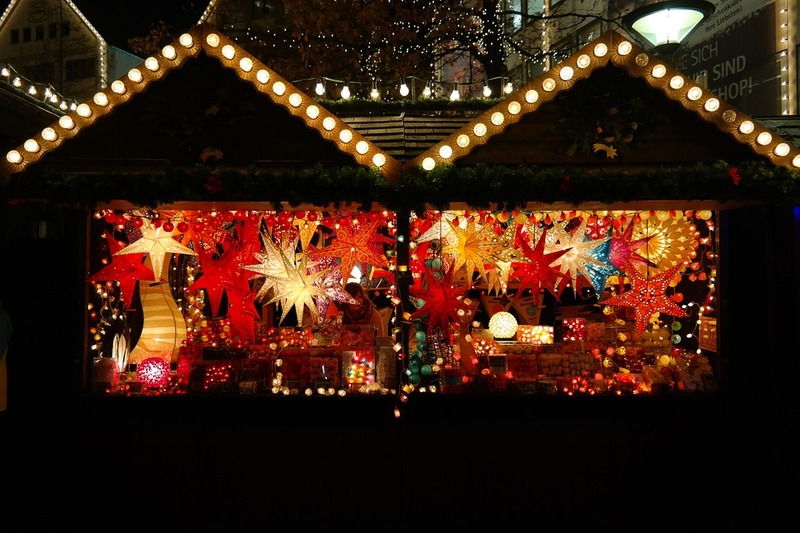 When it comes to the holidays, everyone wraps up their roofs and trees and outside of their homes in lights but you can take it a step further and go with some Christmas lights on your garage door. Decorate with the lights anyway that you’d like. Make sure you keep your garage door in shape with the use of a garage door contractor that can provide you help with repairs, when they’re needed. Give us a call or fill out the form below and we can get you in contact with some of the best garage door contractors working in your area!